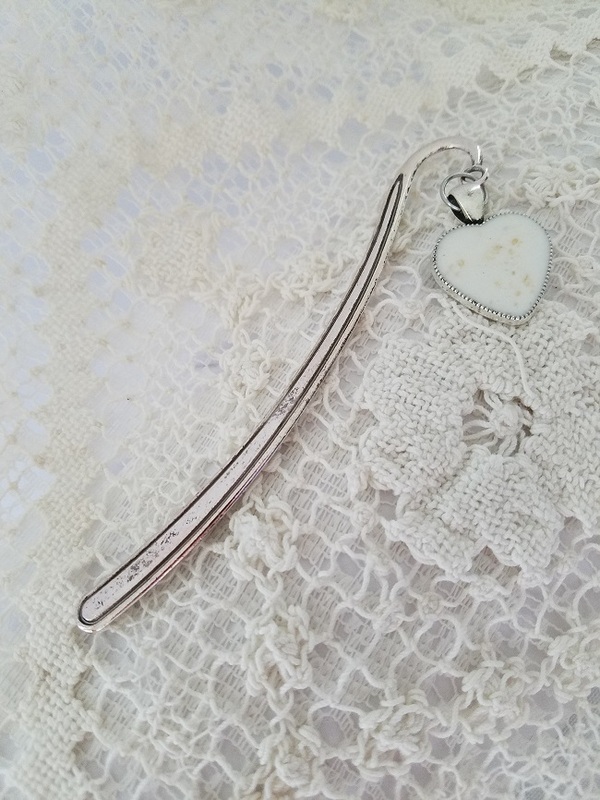 It takes a few flower petals to make this sweet metal hook bookmark featuring a heart pendant. 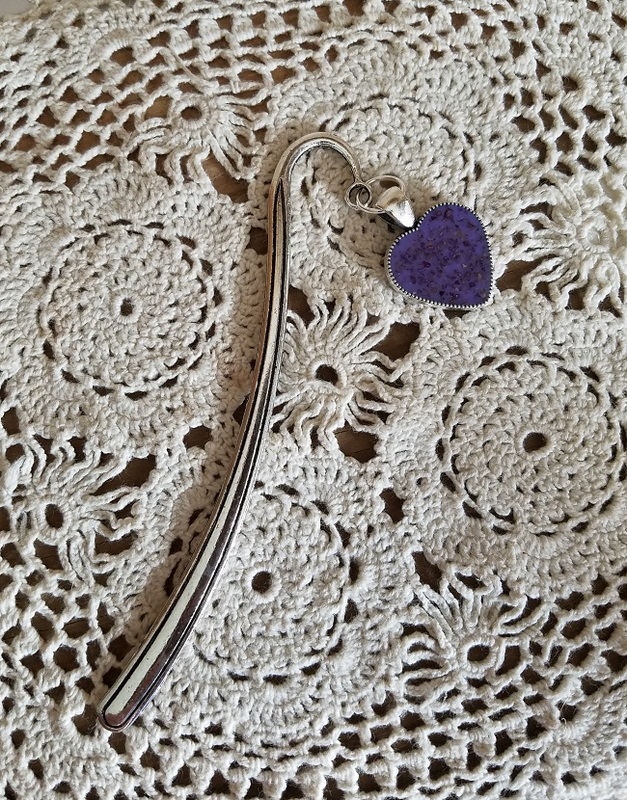 It is a precious way to keep book pages marked and secure. 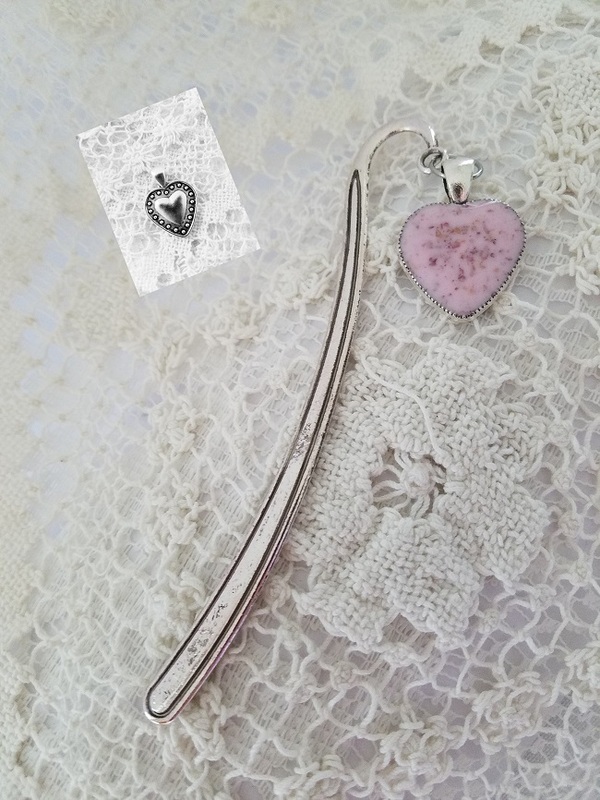 Then tell us what type of flower and color you would like us to use for the bookmark(solid or swirled(2 colors only). In the comment box on the checkout page, leave us a note letting us know when we can expect your flowers. 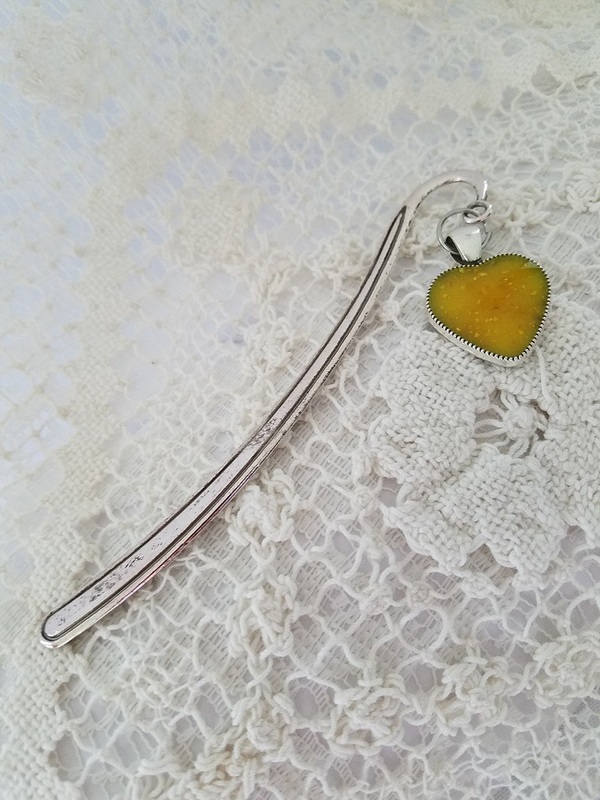 It takes a few flower petals to make this sweet metal hook bookmark featuring a heart pendant. It is a precious way to keep book pages marked and secured. 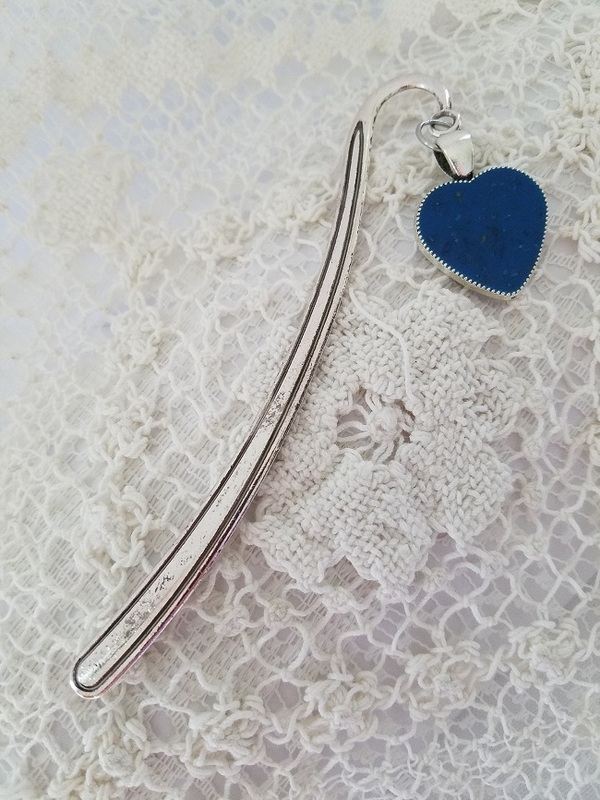 Tell us what type of flower and color you would like us to use for the bookmark(solid or swirled(2 colors only). In the comment box on the checkout page, leave us a note letting us know when we can expect your flowers.